As a governor, Herman Cain’s business nous might help the U.S. central bank, which can suffer from economist group think. He excelled at Burger King and Godfather’s Pizza. Yet Cain is a political figure who once backed the gold standard. Some ideas are too far outside the box. 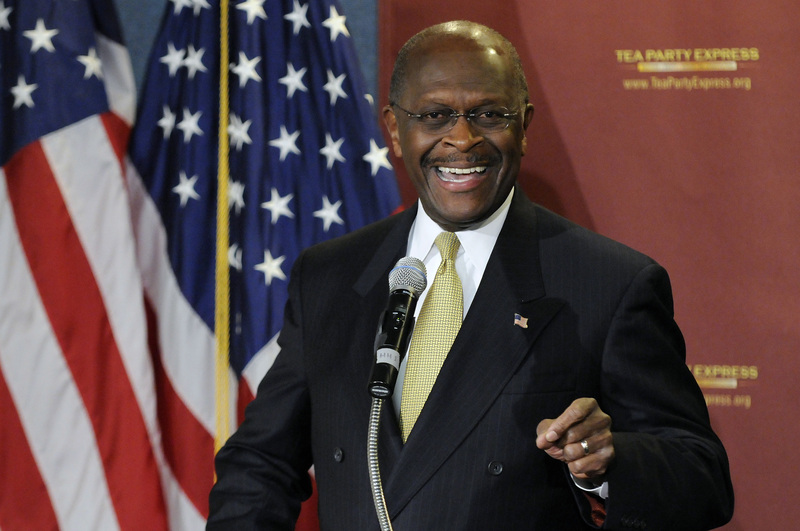 Former Republican presidential hopeful Herman Cain delivers the Tea Party Express response to U.S. President Barack Obama's State of the Union Address, at the National Press Club in Washington January 24, 2012. U.S. President Donald Trump plans to nominate Herman Cain, a former fast-food executive and Republican presidential candidate, for a seat on the board of the Federal Reserve, Reuters reported on April 4, citing an administration official. The U.S. central bank has two vacant seats on its board of governors. On March 22, the president said he would nominate Stephen Moore, a conservative columnist and pundit, to fill one of those seats.